American pop rock band OneRepublic is making their way to Kuala Lumpur for a concert this 25 April. The band, led by Ryan Tedder, is holding their Asian tour this year with stops that include Singapore, Malaysia, and South Korea. This will be their second show in Malaysia, having previously performed in the country back in 2013. OneRepublic rose to fame with their hit single "Apologize", which earned them a Grammy Award nomination back in 2009. 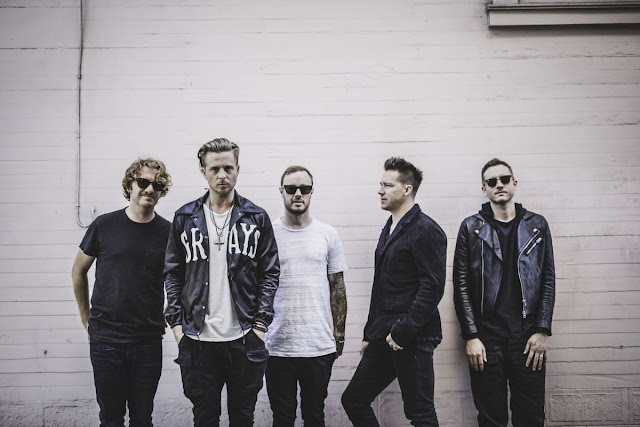 OneRepublic has released their latest single "Rich Love", which features Norwegian producer trio Seeb, and their fourth studio album last year called "Oh My My", which peaked at number 3 on the Billboard 200 charts. More details regarding their concert in Malaysia have yet to be announced by organiser WGW Entertainment. Keep your eyes glued to this spot for updates on it! In the meantime, Singaporean fans can already start purchasing tickets for their show at Star Theater, to be held on 23 April, two days before their concert in Malaysia. Organiser WGW Entertainment has finally announced ticket prices and seating plan for OneRepublic Live in Malaysia 2018. Better get it fast because CAT4 tickets are already sold out and VIP seats are selling fast! Official poster for OneRepublic Live in Malaysia 2018. Seating plan are as follows. Tickets are available to purchase at www.ticketcharge.com.my or by calling 03-9222 8811 while walk-in purchases are available at Eden Ultimate Sdn Bhd, 1 Shamelin Shopping Mall, The Mines, The School by Jaya One, Blonde & Brunette Sdn Bhd, Quill City Mall KL, Eastern Records Sdn Bhd (Rock Corner HQ), Rock Corner The Gardens and selected Speedy outlets. That means you can become here your favourite movies to download on your gadget for offline. find it here for more about freestreamingmovies.